Serbian Soko G-4 Super Galeb crashes, one pilot killed. April 11, 2018 - A Serbian Soko G-4 Super Galeb two-seater aircraft crashed at 9.50 LT in Kovacica, about 50 kms far from the capital Belgrade. The two pilots ejected before the crash, one of them died and the other is in the hospital. The aircraft belonged to the Technical Testing Center. 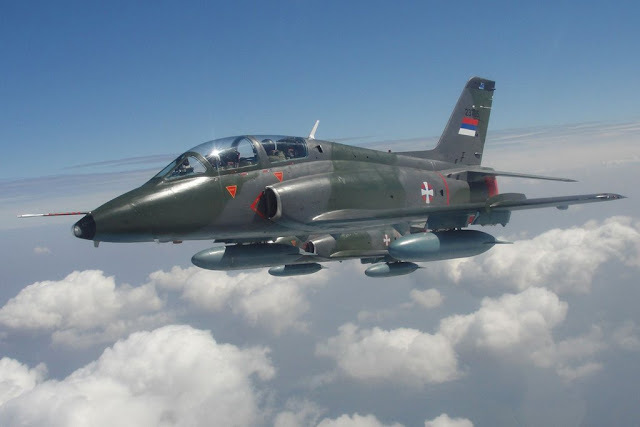 It is a military scientific research institution of the Serbian Army authorized to test and validate aircraft, armaments, veichles and ships.